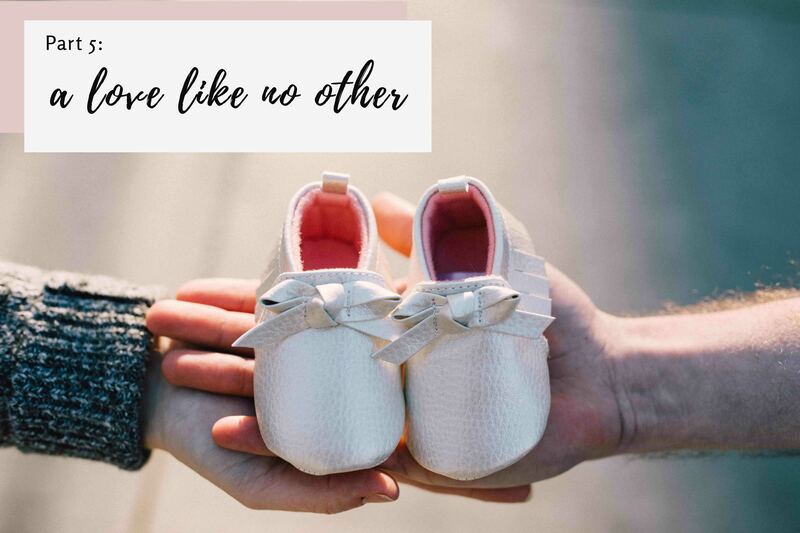 In our previous article, we touched on what a father-to-be should expect during every stage of pregnancy and what your wife would want to see you do or hear from you (if you have not read that, click on the link here – add link). In today’s article, we are going to touch on the more spiritual side of pregnancy: the du’as to read during pregnancy, preparation for the birth for you as a father, and how to psyche yourself up to be a good birth partner. Modern technology has allowed us to discover the truth in this verse. Professor Keith Moore, one of the most famous embryology scientists in the world, says that the embryo moves from one developing stage to another inside three veils: 1) the anterior abdominal wall, 2) the uterine wall, 3) the amniochorionic membrane. Subhanallah, for His words are true! Because different parts of the foetus are developed at different stages, there are certain surahs and du’as that you can recite during a particular stage. Do note that there are no known authentic hadith on the specific du’as that one should recite during pregnancy; however, some ulama’, based on their own experience or that of others have recommended recitation of certain Surahs. Daily: One should recite Surah Inshiqaq (Surah 84) throughout the pregnancy. If your wife is unable to recite well or is too sick to recite, you should do this as she sits near you. During the first trimester: Surah Luqman (Surah 31) as the baby’s brain, mental faculties and nervous system are developing. During the second trimester: Surah Yusuf (Surah 12) as the baby’s physical appearance is forming. During the third trimester: Surah Maryam (Surah 19) as labour approaches. Long gone are the days when men are just expected to wait outside the labour ward while their wives fight their jihad alone. In Singapore today, with the exception of emergency and rare cases, men are allowed to be in the delivery room with their wives every step of the way. There is a team of nurses, midwives, and doctors to check on the mother-to-be, for sure, but the emotional support and pillar of strength to stick to the birth plan should still be the husband’s job. Wait… Birth plan? Yes, there is such a thing as a birth plan (though you need to do some research on which hospital is more understanding towards a couple’s wishes) and it is something both you and your wife should have decided on waaaayyyy earlier before the actual labour. For young mothers today, there is an increasing awareness of the benefits of having a natural birth, free from drugs and any unnecessary medical procedures (which many hospitals are more than happy to shove it down your throat as the only option). Mothers and babies who experience a natural birth due to a good birth plan recover faster and experience less trauma than those without. Hence, as fathers, you need to be able to jump on the bandwagon. Your wife WILL need your support and conviction because no birth plan can be implemented if she is doing it alone. You cannot pretend that this does not affect you just because you are not the one giving birth. No, you are going to be in that room, and your voice will matter especially when your wife becomes too tired and in pain to speak up for herself. Alhamdulillah, in Singapore, there is an increasing number of Muslim doulas who offer services from conducting birth classes to customising a birth plan for your wife which will span throughout the pregnancies. Many doulas I know will take the couple for birth walks every week for months to get them fighting fit for delivery, administer hip squeezes for when the labour pain becomes too intense and to actually staying with the couple in the delivery room to lend an additional hand and support. All you need to do is to just go on Facebook or Instagram and type ‘doula’ in the search box and you will be able to find one that suits you. Uhh.. Pretty sure that there’s a mistake there, right? Shouldn’t it be packing a hospital bag for the moms? Nope. Sure, your wife will need her own hospital bag with a change of clothes, sanitary napking, etc, but more on that later in the next series for moms. Fathers, too, need to have a hospital bag. Because chances are, during labour, you WILL need to spend a long time in the hospital. And if you had gone in with nothing, you are not going to be very comfortable or happy at all. What should you put in your own hospital bag? Non-perishable snacks – granola or energy bars are good because they are compact and yet keep you from feeling hungry. Trust me, you will not have the time to go down to the cafeteria downstairs while your wife is in labour, and some labours take almost 24 hours. You will need the snacks. A change of clothes – If your wife goes into labour at night, chances are you will still be in your pyjamas and will need to change out at the hospital. Or even if you go in during the day, after such an intense process, being able to change out of your old set of clothes will be a refreshing change for you. Toothbrush and toothpaste – See above. Portable prayer mat – Same rationale. You will need to pray in the delivery room, probably. Small Quran or a device that can play Surahs – need I say more? It is good to recite the Quran to keep the nerves down as well. If you are not such a fluent reader, then you can just switch on a device that can play the Surahs aloud. Trust me, during labour, your wife will not want you to leave her side or the room, so it is best to bring things that you will need within a 24-hour period. Basically, preparing for childbirth has to start early for both you and your wife. Besides the physical preparation mentioned in this article and the previous one, one should also not forget the mental and spiritual preparation required for this new phase in life. As the imam of the family, it is crucial that the father has already solidified his understanding of the Fardhu ‘Ain as well as his recitation of the Quran. The writer is Sis Suliyati, the founder of @MuslimParents.SG, a parenting platform for Muslim parents in Singapore. MuslimParents.SG conducts kids-friendly Quran and parenting classes and events for moms and the family. She hopes to empower more Muslim families in Singapore with knowledge so that they can make informed decisions for themselves.